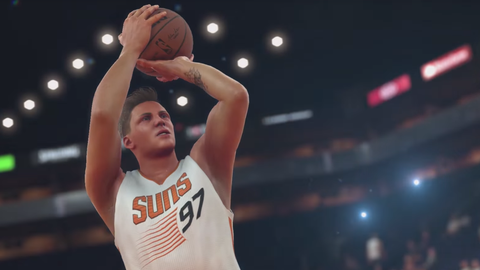 NBA 2K17 released last week, and while the game might not have any groundbreaking new modes or features, the major refinements to MyCareer mode make the game markedly better as a single-player experience. The latest version of MyCareer still has some drawbacks, but compared to 2K16’s Spike Lee joint, the difference is night-and-day. 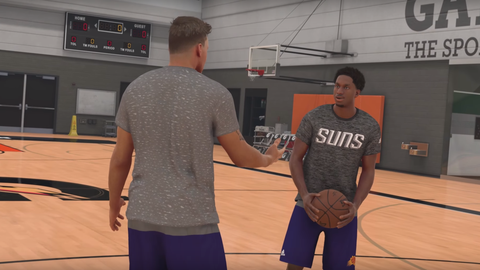 2K16 took a big risk by introducing a story-based career mode (an idea that has since caught on with other games, such as FIFA 17). It was an interesting idea - 2K brought in Spike Lee to write and direct what was essentially a B-level sports movie chronicling the rise of a high-school phenom to the NBA - but the story was heavy-handed, far too serious and, at it’s worst, downright cheesy. 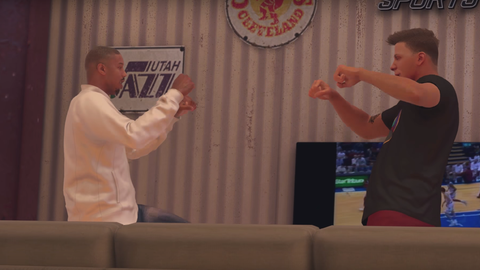 The biggest problem with 2K16’s MyCareer mode, though, was that the story was disconnected from the actual gameplay and actively got in the way of your career in the NBA. In 2K16, your rookie year in the league was reduced to a series of eight games separated by cutscenes. After the storyline finished and the credits rolled, the mode rebooted and you became a free agent who could go anywhere you wanted. 2K16 made MyCareer too much about Lee’s story and disregarded what many players love about MyCareer mode in the first place - game-to-game progression and playing out an entire season as your created player. 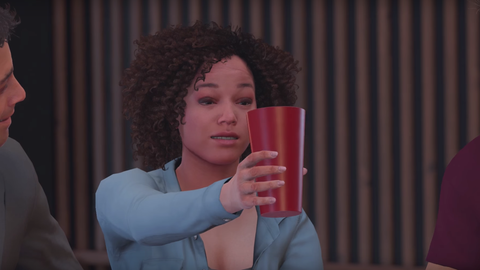 2K17 finds more of a happy medium between story and gameplay, but the balance is clearly tipped back towards gameplay. 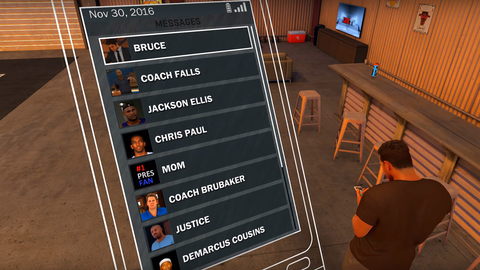 You still choose a college program to sign with and play a few games of college basketball against powerhouses like Kansas or Michigan State, and there’s a cast of characters to interact with, from your college sweetheart to your agent Bruce to your fellow NBA rookie Justice Young (voiced by Michael B. Jordan). 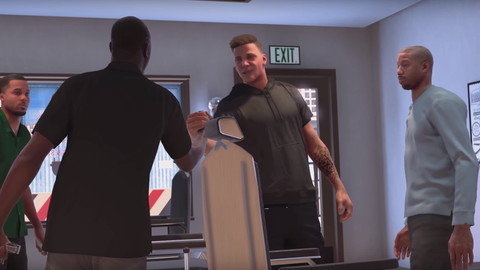 You’ll still periodically get cutscenes after games or practices, and there is a (far more believable) narrative to your career, but the story doesn’t dominate the MyCareer experience so much as it complements it. 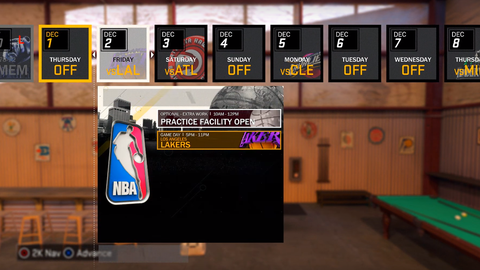 You can now play a full rookie season, and on off days you can spend time heading to sponsor events to collect virtual currency or increase your fanbase, or head to the gym for pickup games against your teammates or organized practices. Practices can be a bit of a slog, but they are optional. In team practices, you’ll be given a set of three drills to complete, from 3-point contests to games of 3-on-3 to pick and roll practice. Spending the time on drills will eventually increase your attribute caps and allow you to improve your overall rating (provided you have enough VC). I’m about halfway through my rookie season with the Kings, and while I don’t hate practices, they do feel like a bit of a chore, and the drills aren’t nearly as fun as, say, skill games in FIFA (if 2K can make practices that addicting, I'd never stop playing 2K17). Load times are also slightly annoying - you’re going to spend a lot of time watching you player walk in and out of his own personal gym while you transition from menu to menu. There’s certainly room for improvement, but 2K16’s story mode didn’t quite deliver, 2K17 gives you a career mode that is worth investing in.